Graying of hair is a natural process when one ages, but when hair starts to grey in the early 20s or 30s it can hamper anybody’s confidence. There are many reasons, which can cause premature graying of hair. Looking for an easy option to stop grey hair, and then try this fenugreek seeds and coconut oil remedy. Fenugreek seeds contain lecithin and amino acids, which makes it an excellent treatment for grey hair. Coconut oil is rich in minerals, vitamins and carbohydrates, which is beneficial for preventing greying of hair. 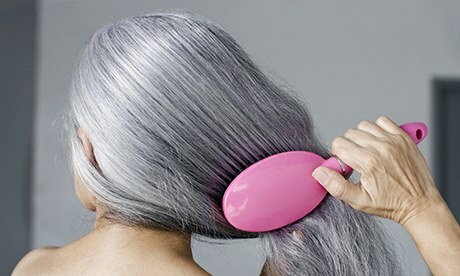 Try this amazing remedy to prevent greying of hair. Firstly take ½ cup of coconut oil and bring it to a boil. Later add fenugreek seeds into the boiling oil. Allow the oil with fenugreek seeds to boil for 8 to 10 minutes. Then remove the fenugreek seeds infused oil from heat. Allow it to cool down to lukewarm temperature. Apply this lukewarm oil on hair and massage the oil into the hair in circular motions gently for 2 to 3 minutes. Leave on the oil application overnight. Next day wash off the hair thoroughly with shampoo and follow up with a conditioner. This process must be repeated twice a week for at least 3 weeks to treat grey hair.